SEPnet believes there’s no better way for students to gain new skills and valuable insight into the world of work than through a placement. We work with a wide range of employers offering placements in a variety of physics-related areas and sectors including aerospace, nuclear energy, information technology, science communication, engineering and research. Students have the opportunity to carry out projects with small and medium-sized enterprises (SMEs), multinational companies or research institutions. Each year SEPnet holds a Students’ Expo to showcase students’ project work on placement through posters and presentations to an audience of employers, academics and students. The annual Expo is a great way for students to celebrate their achievements and hone their presentation and communication skills. 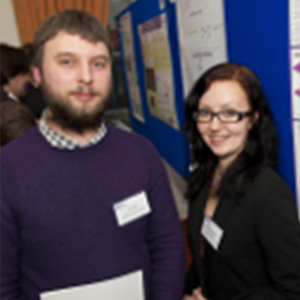 SEPnet is keen to engage with employers through student projects, knowledge exchange and research collaborations. See Employer Engagement for more information. Visit Careers Information for careers contacts, case studies and ideas for what to do with physics. Find out more about SEPnet’s Summer Internship Scheme – Information for Students.